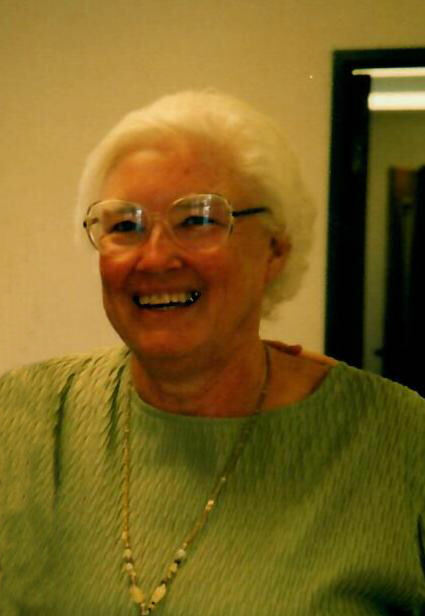 Obituary for Elizabeth "Gail" (Robertson) Nivelt | Stone Funeral Home, Inc.
Elizabeth "Gail" Nivelt, 85 of Indian River, MI passed away on April 6, 2019 at Hiland Cottage. Gail was born on January 19, 1934 in Petrolia, Ontario, Canada, the daughter of David Robertson and Edna (Robinson) Robertson. She grew up in Clarkston, MI and attended high school there as well. On November 1, 1952 she married Stanley Nivelt in Clarkston, MI. Gail was an only child and was very proud of the fact that her four children were able to create a gigantic family, nearly 30 grandchildren and great-grandchildren, for her to love. Family was everything to her and she was enthusiastic to go on any adventure that the whole family could engage in. Over the years those adventures included snowmobiling, swimming, camping, tobogganing, boating, four-wheeling, amusement parks, listening to music and dancing. Gail also loved sweets, reading, drama, and debate. She had an amazing zest for life and will be greatly missed by all who knew her. Gail is survived by her children Daniel (Jean) Nivelt, John (Melanie) Nivelt, Pamela (Les) Bourn, and Denise (David) Vogt, grandchildren Nathan (Stacie) Nivelt, Amy (Benjamin) Polk, Daniel (Stephanie) Nivelt Jr., Brian (Kristen) Bourn, Nicole (Ryan) Blackwell, Jennifer (Damon) Engler, Cory (Jessica) Bourn, Courtney (Nick) Bodnar, Blake Nivelt, David (Laci) Vogt, and Thomas Vogt, great-grandchildren Nathan Nivelt Jr., Hailey Blackwell, Kaleigh Polk, Lannah Engler, Emily Bourn, Britton Bourn, Camden Polk, Luke Bourn, Megan Bourn, Wesley Nivelt, Grady Bourn, Kennedy Blackwell, Cora Engler, Sawyer Blackwell, Levi Nivelt, Duke Engler, Faye Blackwell, and Josilynne Nivelt. She was preceded in death by her parents, husband, and a brother in law Hank Nivelt. Services for Gail will be held at the Indian River VFW on Saturday April 13, 2019. Visitation will begin at 12pm with a memorial service at 1pm. A luncheon will follow. Anyone wishing to make a memorial contribution in memory of Gail should consider the Indian River VFW or the Hiland Cottage in Petoskey. Friends and family are welcome to share memorials and offer condolences online at www.stonefuneralhomeinc.com. The family was served by the Lintz Funeral Home.